October 2010, Majorca Island, Spain, - CTO Yoav Kutner announced Magento 2.0. Later, company officials claimed to release its first stable version somewhere in Q4 2011. So we waited. And waited. Magento 2.0 turned out to be a lingering construction, but the more we waited, the more we wanted to embrace it. Eventually, it seems we have a light at the end of the tunnel. The passionate praise of e-Commerce community was heard - starting from December 2014 Magento 2.0 is in Developer Beta stage. If to believe to its official page, the Merchant General Availability release is about to happen sometime soon, approximately in Q4 2015. We were peeking behind the stage of Magento 2 construction all the time, but do we know all the details of upcoming release? During the last few months, Cart2Cart keeps up its community with the freshest news concerning Magento, posting some useful articles and infographics. But nobody knows one's child better, than its own father - Alan Kent, Magento Chief Architect. 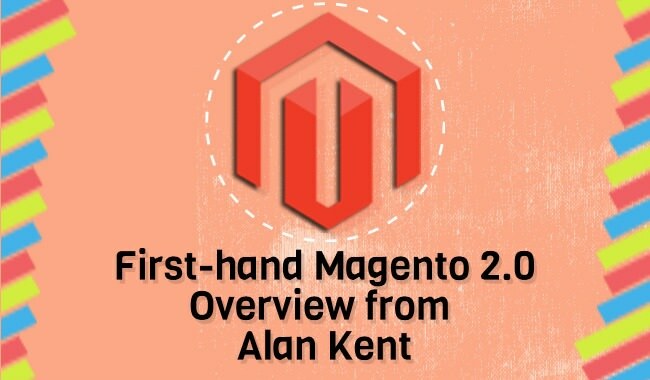 Recently, he posted a Magento 2 overview presentation, where Alan shared the goals of a new platform, revealed some of the new features and structurized the info we’ve already had. Everything about Magento 2.0 sounds incredibly tempting, and we hope it will remunerate us for our endless patience. Cart2Cart, on it side, can assure you that Magento 2.0 will be available for migration right after the official release, so stay tuned! And while there’s still plenty of time before it happens, ensure you’re utilizing the latest Magento version available. If not, consider performing an upgrade by transferring your store data from Magento to Magento automatically. If you need the instructions, follow the step-by-step guide on How to upgrade Magento.